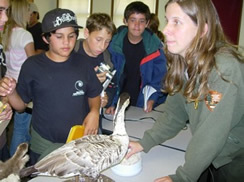 This curriculum was designed to communicate concepts about evolutionary processes to seventh grade students. Hawaiʻi is home to many endemic species that exhibit different genetic variations. These unique species are excellent examples to utilize to help students understand evolution. The Hawaiian Island chain is the most isolated archipelago on the planet. This isolation has limited the number of animal and plant species that have arrived here naturally. 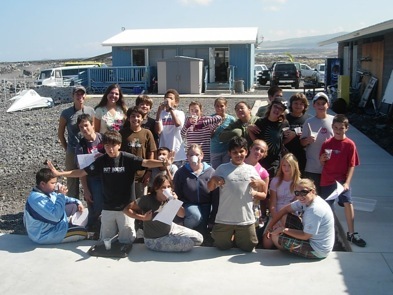 When organisms do colonize the islands successfully, their populations must change over time in order to suit the conditions of their new environment. As a result of millions of years of evolution in isolation, the Hawaiian Islands are home to many fascinating endemic species, such as Hawaiian honeycreepers, Happy-face spiders, and Ohia trees. 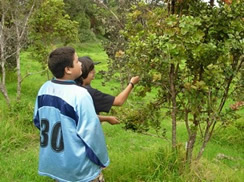 This curriculum focuses on examples of Hawaiʻi’s native flora and fauna to understand evolutionary concepts, including genetic variation, natural selection, and adaptation.